National Nutrition Month focuses attention on the importance of making informed food choices and developing sound eating and physical activity habits. This year’s theme is “Bite Into a Healthy Lifestyle”. Throughout the year, the Academy of Nutrition and Dietetics encourages everyone to return to the basics of healthy eating by adopting a healthy lifestyle focused on consuming fewer calories, making informed food choices and getting daily exercise. The goal is to achieve and maintain a healthy weight, reduce the risk of chronic disease and promote overall health. Dr. Zack supports this philosophy with his weight management programs at Johns Creek Family Medicine, serving patients in South Forsyth, Gwinnett and North Fulton counties and the surrounding North Atlanta area. We live in “super-sized” era. Portions are huge, fast-food seems to be the norm, we are on the go and rushing around more than ever. Maintaining a healthy weight is hard enough, much less being successful at weight loss. We aren’t born craving French fries, donuts and grande burritos. We aren’t born hating vegetables, broiled chicken breast and brown rice. These dietary preferences are a result of conditioning over the years of exposure to unhealthy food choices. If you’ve tried many attempts at losing weight, and have failed, you may have the mindset that you just can’t lose weight. And traditional diets may not work for you in the long term. But there are many small but effective ways to avoid making traditional dieting mistakes and cultivate a healthier relationship with food, resulting in lasting weight loss. Weight loss is basically a simple mathematical equation – burn more calories than you consume and you should lose weight? Right? Not always. Often we forge ahead gung-ho on a weight loss and exercise program that is too unrealistic to maintain. It can make us starving, cranky, exhausted, and eventually the cravings overcome us. Such dieting attempts don’t take into consideration such factors as a lifestyle that was based on meals on the run at fast food establishments, or eating habits grounded on emotional response. It’s been proven that these factors will undermine anyone’s dieting efforts. Dr. Zack proposes that by making smart choices every day and adopting small but steady changes in lifestyle it is possible to develop new eating habits and preferences that will assist you to take control of your weight. Weight Loss is a Lifestyle: To lose and maintain weight loss requires a complete change in lifestyle – a crash diet won’t result in permanent weight loss, and probably leads to a cranky, starving, dreaming about chicken fries individual. And that kind of diet becomes a yo-yo lifestyle. Dr. Zack believes long term weight loss should be viewed as a commitment to your health for life, with permanent lifestyle changes, integrated exercise program, and satisfying, yet healthy food choices. Social Support Means a Lot. Successful weight loss requires some form of support – family, friends, a class at the gym, a support group, even Dr. Zack – to encourage weight loss and lifelong healthy eating. Healthy Weight Loss is Not a Race. Rapid crash starvation dieting and 2 hours on the treadmill will take a toll on your mind and body. You won’t feel better, you’ll most likely feel tired, drained, short-tempered, even ill. Instead of losing fat, you’ll actually be losing mostly water and muscle, adding dehydration to your condition. A slow but steady one to two pounds a week weight loss should be the goal. Motivation Should Be Fueled with Long Term Goals. Losing weight just for a short term goal – like to fit into a wedding dress you bought two sizes smaller, or to wear a teeny bikini on vacation, or to impress your old gang at the High School Reunion, probably won’t fuel a long term weight management plan. Setting goals not based on actual pounds, but on wanting to feel more confident, or being more involved in your kid’s daily lives and activities, or just wanting to be there when your children graduate, are what really underscore a successful and dedicated lifestyle change. • Set up a menu for the week, purchase the food in advance, pre-bag some healthy, low calorie snacks, and even cook up some main dishes for the rest of the week makes it easier. 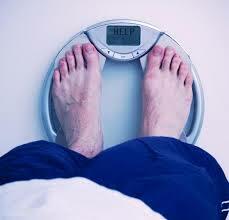 • Weigh yourself on a regular basis, at the same time, but not fanatically every day to monitor your weight loss. The first step on your road to success is a visit with Dr. Zack at Johns Creek Family Medicine, serving patients in South Forsyth, Gwinnett and North Fulton counties and surrounding North Atlanta area. Dr. Zack emphasizes weight management in his practice, and will check your overall health and establish a realistic weight management program tailored to your specific needs. Keeping a handle on your program helps you identify what triggers the occasional “fall off the wagon” so you can make adjustments in your lifestyle and food choices to compensate for those weight loss busters. It is important to be aware that it may take some experimenting to find the right diet for your individual body, and you may have some setbacks. And when frustration and temptation strike, Dr. Zack recommends you focus on the future benefits you will reap from being healthier and leaner. The key is to find what works for you.